Are you or do you know Marie LeTourneau? 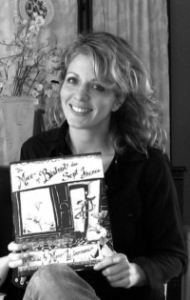 Marie LeTourneau is a published author and an illustrator of children's books. Published credits of Marie LeTourneau include The Mice of Bistrot des Sept Freres, The Mice of Bistrot des Sept Freres (Winner ForeWord Magazine's Book of the Year Award - Bronze Medal), and Is a Worry Worrying You?. To edit or update the above biography on Marie LeTourneau, please Log In or Register.